After seeing swatches of the rest of the Pretty Serious Hello World collection, I knew that I had to get the other three polishes. 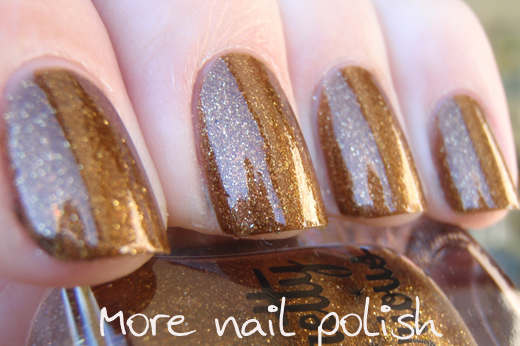 Morning Java is caramel brown polish with a stunning gold fleck shimmer. 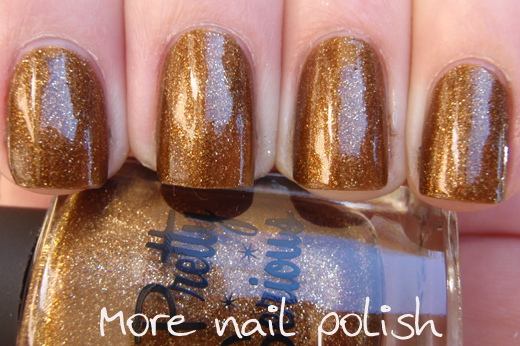 I love brown polishes, they are interesting and unusual, so it was especially exciting to see a brown polishes in this first collection from Pretty Serious. 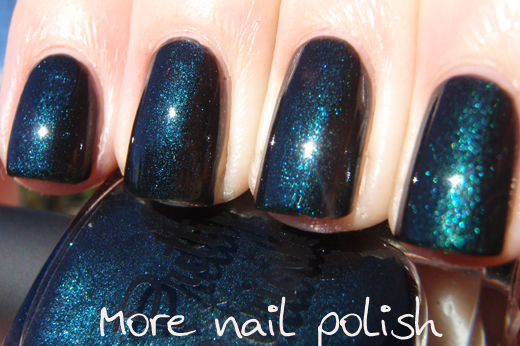 This is two coats of Morning Java, with Seche Vite top coat. Nice formula, a little thick but super easy to apply. WIN. VT100 - yellow based green jelly with a gold fleck shimmer. 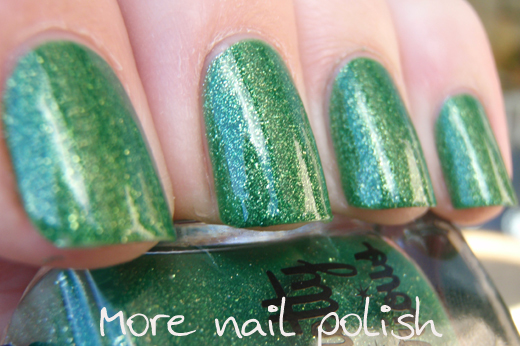 So far I haven't seen anyone comment on the uber geeky name for this polish. Kudos to anyone who knows what the VT100 is without having to google it. 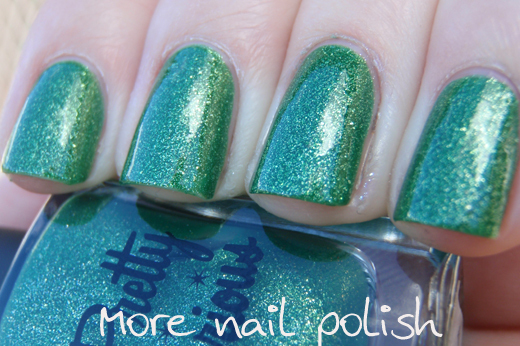 Great name that matches the polish perfectly. 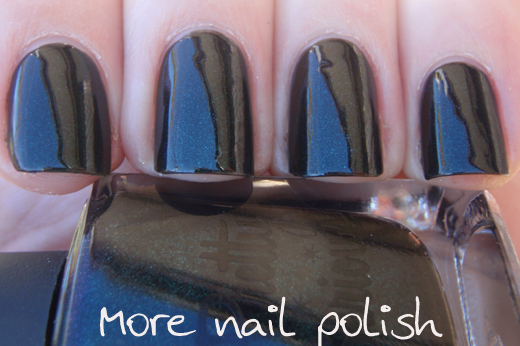 This is two coats of VT100 topped with Seche Vite. 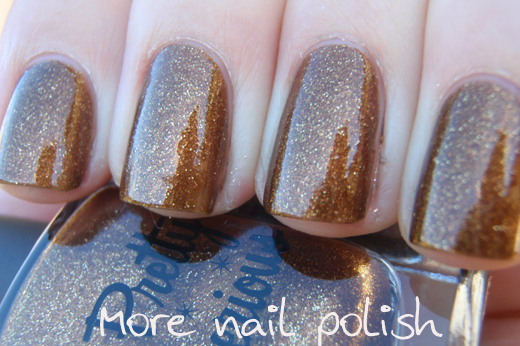 Sunning gold flecks in this polish. Tux - Wow, this one is so much more than you expect it to be. 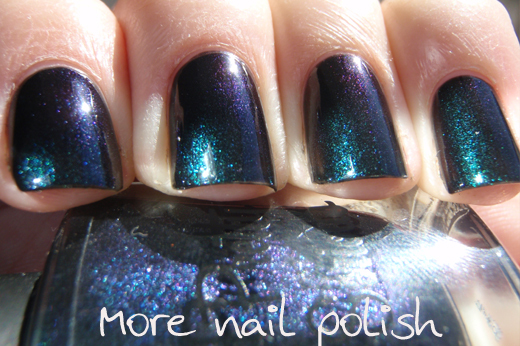 Initially it looks black in the bottle, but then you see the edges of the bottle and see a teal and purple shift. Hummm, will I see that on my nail?? 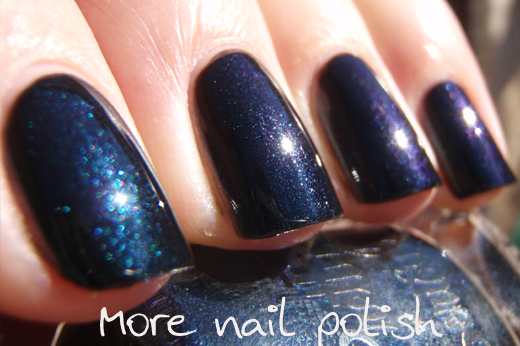 In the shade, pretty much black with a slight speckled finish indicating some sort of shimmer. 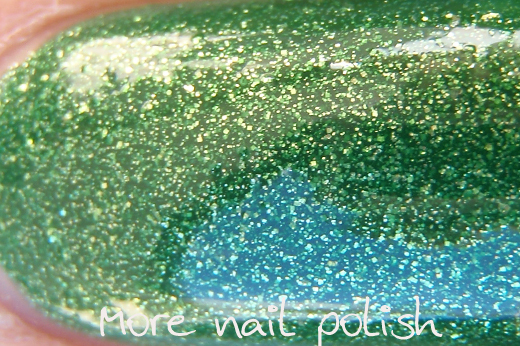 In the sun, yep there is that teal shimmer. Whoo hoo, there is the purple shift too. This one is so much prettier than I expected it to be. I'm so happy with this next photo, I managed to get both the purple and teal in the one photo and it was all natural sunlight (with thanks to some carefully angled mirrors). oh I'm so in love with Tux! Argh! now I need Tux! oh wow you captured the Tux purple. I tried and tried but just couldn't catch it. It looks so good. 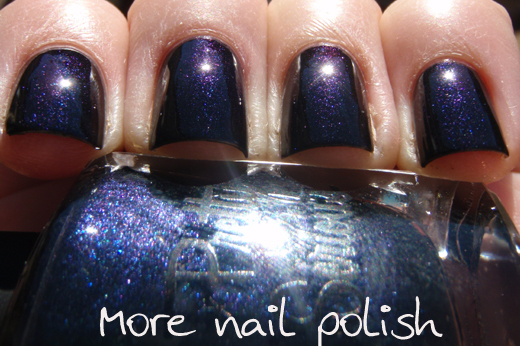 Awesome photos (as always) of these beautiful polishes. That last photo is perfection.